Meats. Veal Cheese. 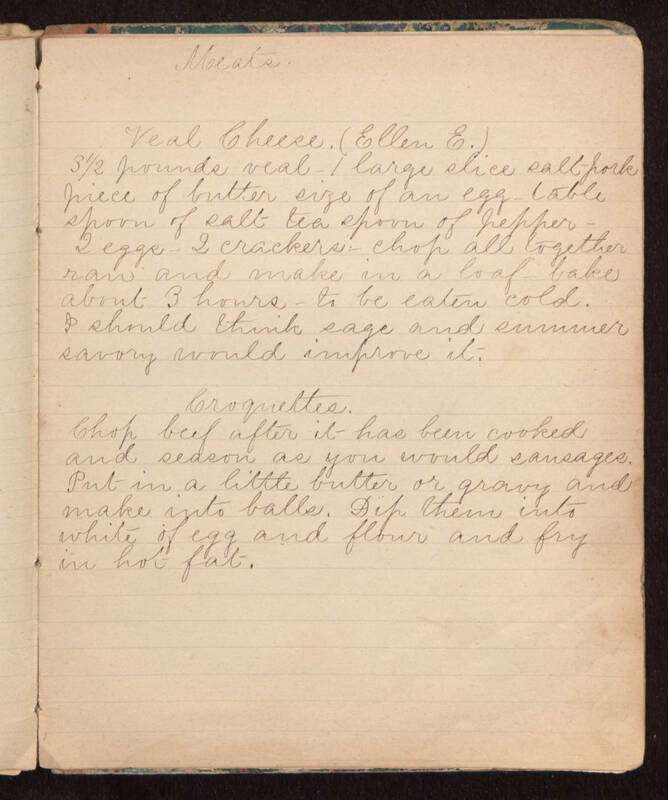 (Ellen E.) 3 1/2 pounds veal - 1 large slice salt pork piece of butter size of an egg - table spoon of salt tea spoon of pepper - 2 eggs - 2 crackers - chop all together raw and make in a loaf - bake about 3 hours - to be eaten cold. I should think sage and summer savory would improve it. Croquettes. Chop beef after it has been cooked and season as you would sausages. Put in a little butter or gravy and make into balls. Dip them into white of egg and flour and fry in hot fat.